Word has it that the 2013 USTA leagues will be played indoors during the winter months this year. So if you are planning to play on a USTA league, better get your team together quickly or the season will be over. The finals will still be in the summer. The age groupings have changed somewhat. You can learn more about the league structure at USTA League structure. The 2012 Year-end NTRP ratings are also available. Just go to USTA Year-End Ratings, enter your name or USTA membership number and you will be shown your NTRP rating. 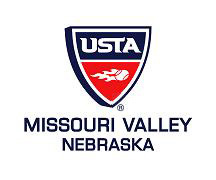 If you are interested in checking out the current 2008 USTA Missouri Valley rankings as of September, you may do so at at USTA TennisLink. You can search for any division and find the rankings as of September. The final 2008 Missouri Valley and Nebraska District Rankings should come out in early January. Brian Mark and Dana Mark are putting together a Fremont Area 3.5 men’s USTA tennis league team for this coming year. We want to get started putting our team together early so we are set and ready to go when the USTA leagues start up. If you are interested in being on a 3.5 team, contact Brian Mark or Dana Mark.